This shows an example of our designing capabilities. 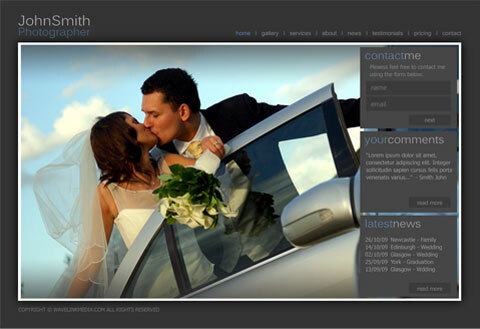 This is a template we designed targeting photographers, which is reflected by maximising the space for the photograph and minimising the other functions on the site. This is a template which we designed hoping to one day release to the public as a free template. 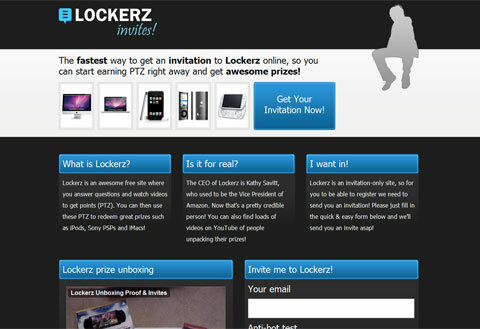 Lockerz.com is a popular website amongst young users. The concept is that they earn an online currency called PTZ by watching videos and answering daily questions. They can then use this virtual currency to purchase items such as MacBook Pros and Sony PSPs. Lockerz is an invitation-only site where you need an existing member to invite you to join. This can be a long process, especially if you do not know any existing members. This is where LockersInviteOnline comes in. It allows users to enter their email address to the system so that they can receive an invitation quickly and easily. 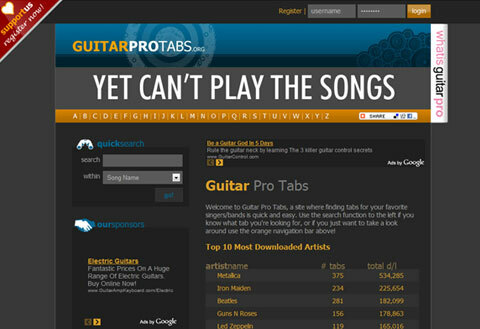 GuitarProTabs.org is a website that allows visitors to download files for the popular guitar tablature software, Guitar Pro 5. It is a database-driven website that spans over 25,000 pages and features a membership system that allows for further features to be unlocked. 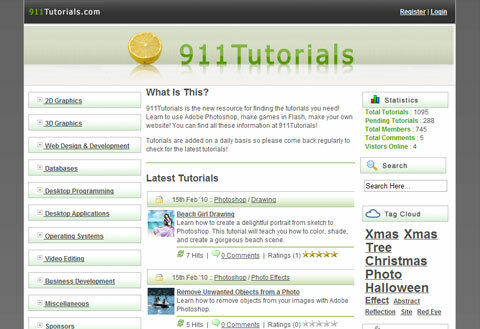 911Tutorials is a website we built that is simliar to Tutorialized and Good-Tutorials. It allows visitors to browse through tutorials on various subjects such as Photoshop, Flash, and Blender 3D. It also allows webmasters to sign up and submit their tutorials to the system, which is added to the index once approved by the admin. 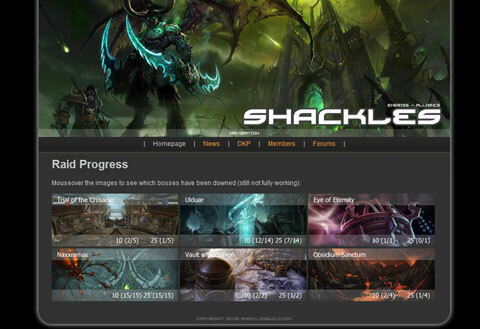 This is a guild website we built for the popular MMORPG, World of Warcraft. 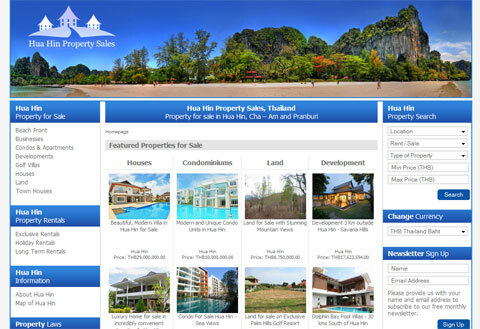 We put emphasis on graphic elements so visitors would immediately understand the theme of the website.